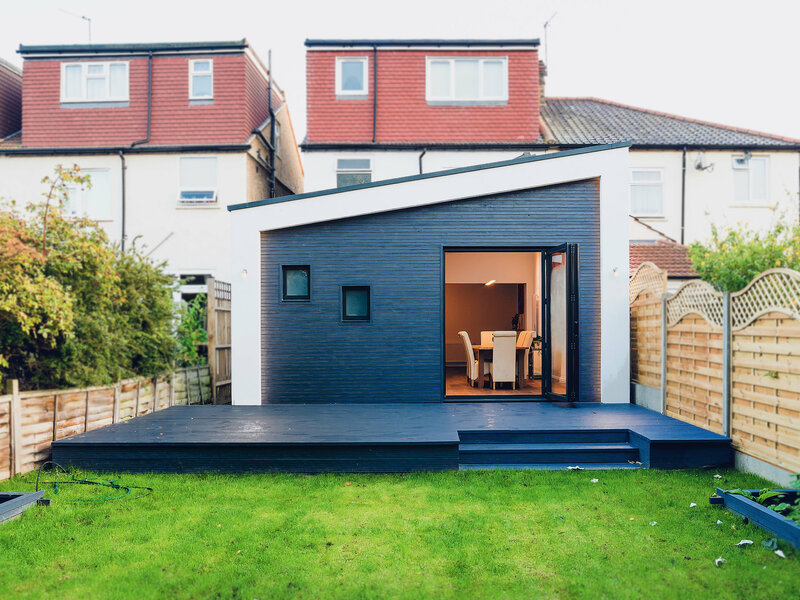 Rear extension of a simple form, combined with a limited colour and material palette results in an elegant and timeless intervention. 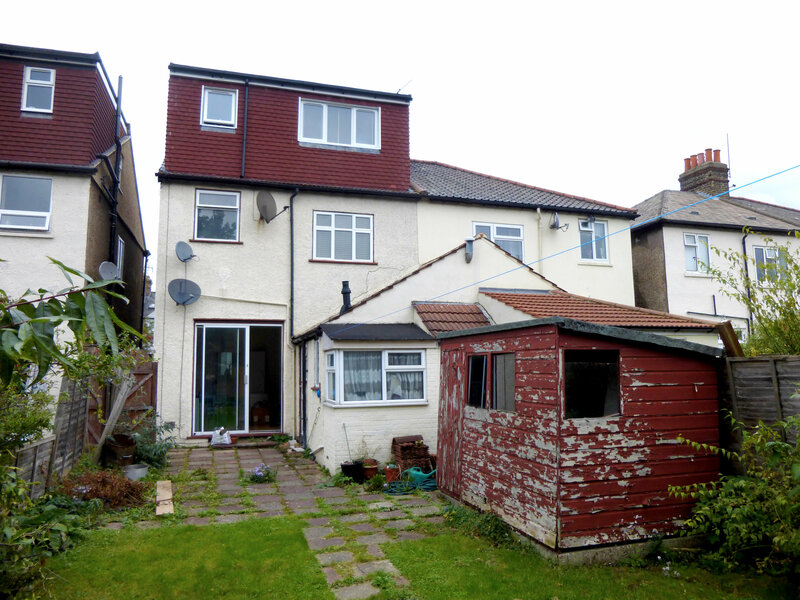 The original property had unsightly additions that were replaced by a substantial single-storey rear extension. A new kitchen, dining area and shower room were created. 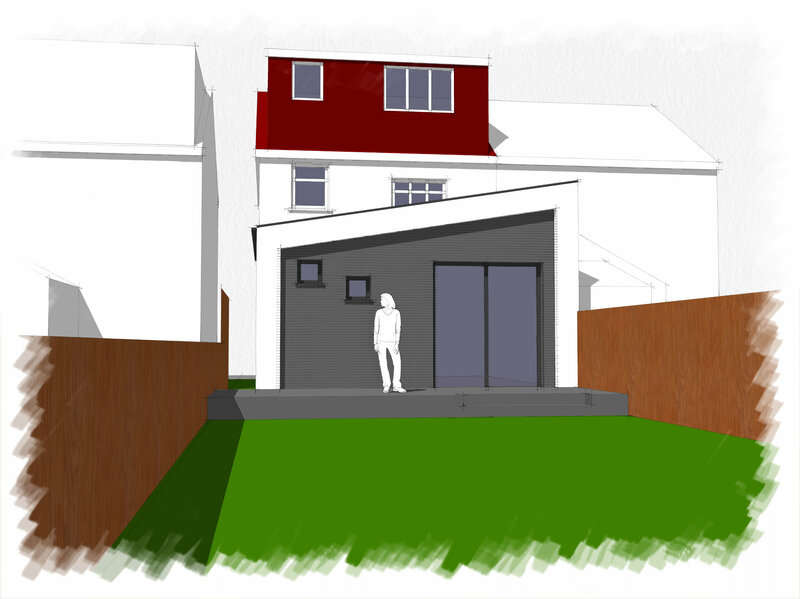 The mono-pitched extension reinterprets the original form in a contemporary way. A white render shroud, that reflects the materiality of the original house, frames a dark grey timber-clad façade. 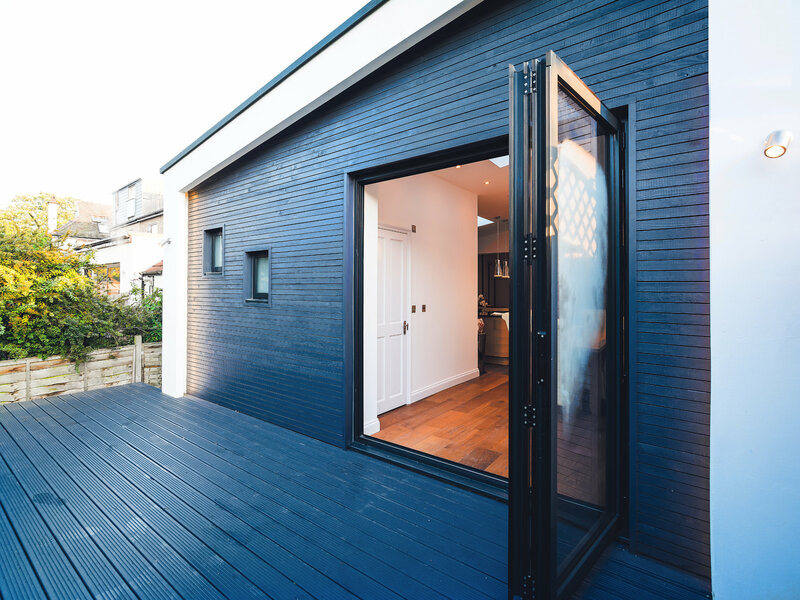 The dark grey timber finish continues seamlessly onto the patio. Feature lighting is recessed around the white frame. 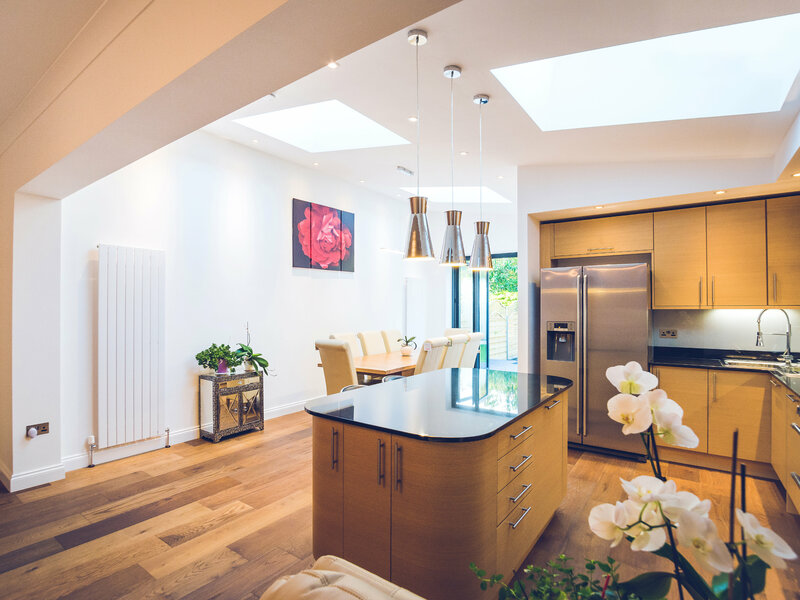 Internally, the ceiling follows the shape of the roof accentuating the grandeur of the space. 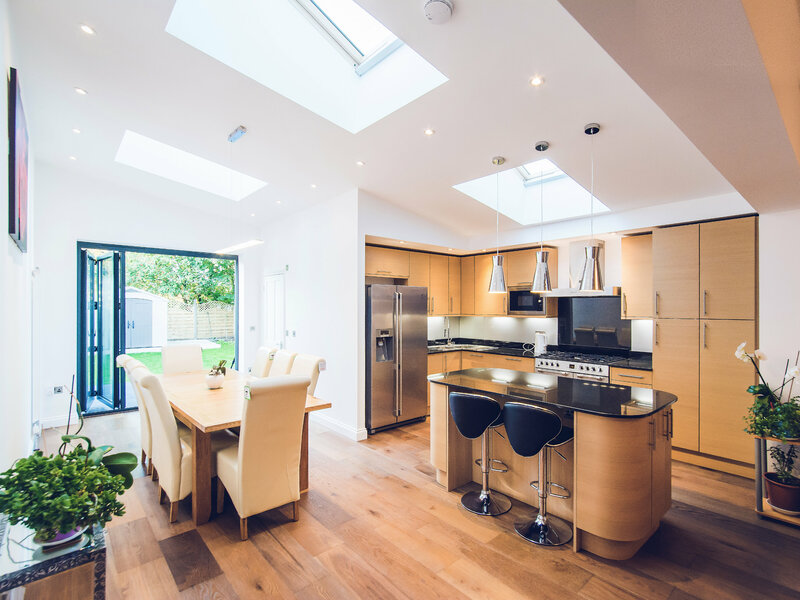 Rooflights help bring daylight into the depth of the plan. 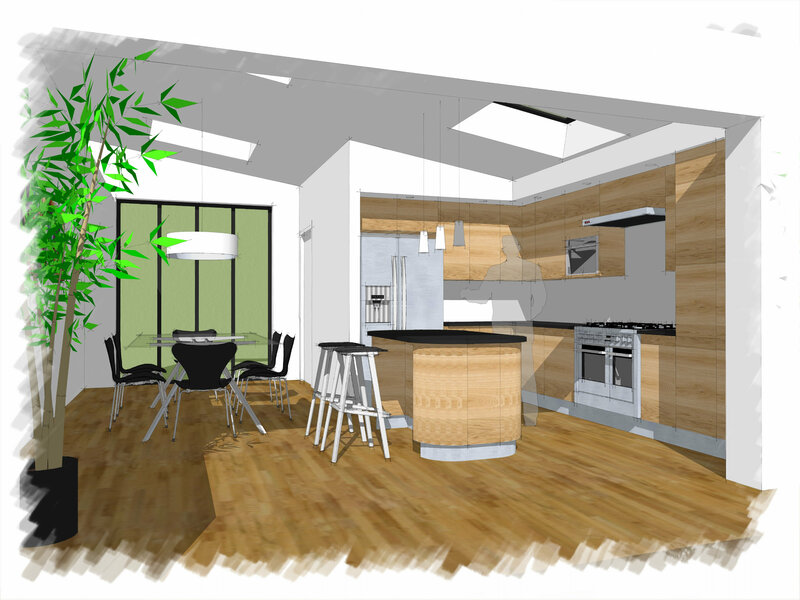 We also assisted with the kitchen design that was based on a modular system.